Ger Tor – Grid ref: SX 547831 Height: 530m a.s.l. 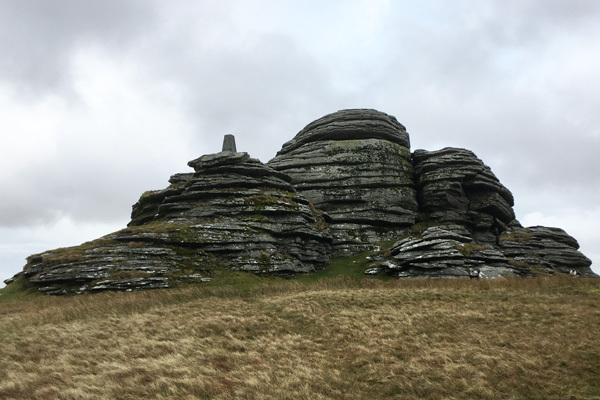 Ger Tor is not a high summit, however it sits proudly alongside the Tavy Cleave and above Nat Tor on a bold and well-defined spur. Well worth a visit, when live-firing is not scheduled for the Willsworthy range. 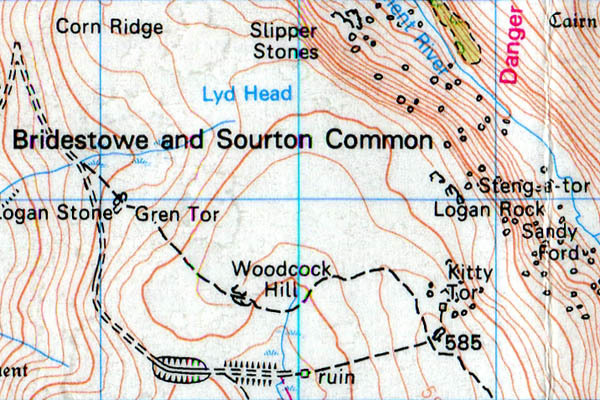 Great Combe Tor – Grid ref: SX 522774 – Height 530m a.s.l. Located in a small area of access land. 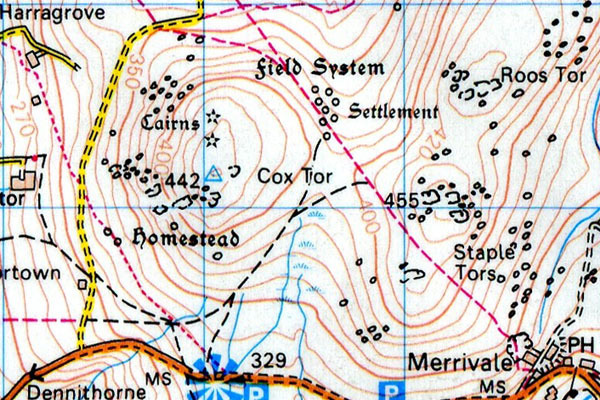 The 1:50k map combines the Great Combe Tor into one ‘Combe Tors’ complex. 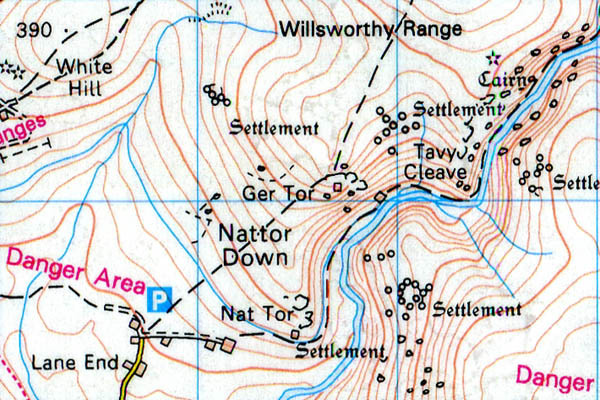 Little Combe Tor is proving difficult to fix on the ground survey. It would appear to be sitting on private land in a leafy valley. 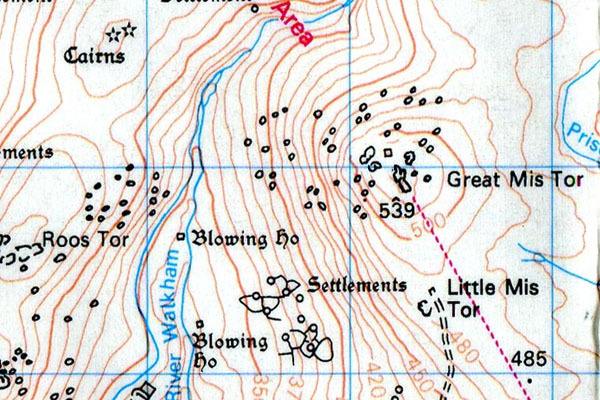 Sightings are made more difficult by the fact that the land is only crossed by a single bridleway. 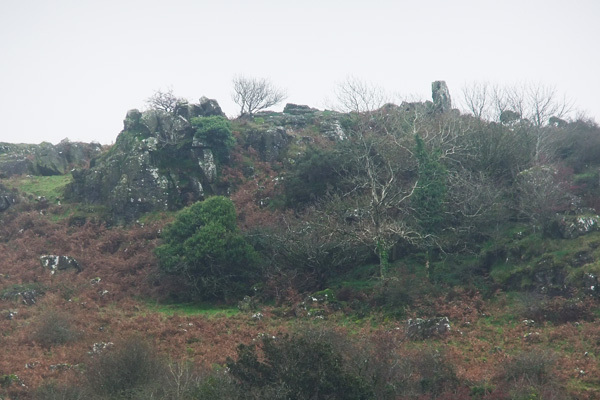 Little Combe Tor is potentially shielded by the canopy and a better view may be possible in winter when the leaves have fallen. A return visit is required. Great Links Tor – Grid ref: SX 551867 Height: 586m a.s.l. Great Links Tor has a good set of testing climbs and boulder problems. Among it’ trio of crags. It also has a Trigonometric survey post. Great Mis Tor – Grid ref: SX 563769 – Height 538m a.s.l. A healthy 170m height gain from the car park on the B3357, Great Mis Tor is a good ascent fresh from the car. 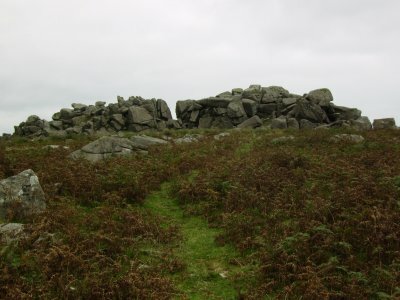 Approached mainly by stone-track which leads up past a cairn (this cairn linearly matched to the double stone rows at Merrivale on the Summer Solstice), then past Little Mis Tor. After these features the walk-in turns to a classic moorland approach under a pretty consistent gradient. Great views of the North Moor can be achieved from this height and the Bronze-age settlements of the River Walkham. Great Staple Tor – Grid ref: SX 542760 Height: 455m a.s.l. Great Trowlesworthy – Grid ref: SX 580643 – Height 357m a.s.l. 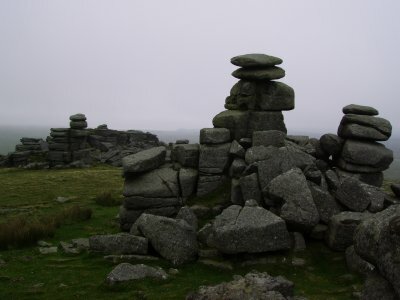 This tor is the larger, more dominant tor on the hillside, its’ smaller but not insignificant cousin (Little Trowlesworthy) is set a few hundred metres North across a cluster of natural and mason-worked blocks. 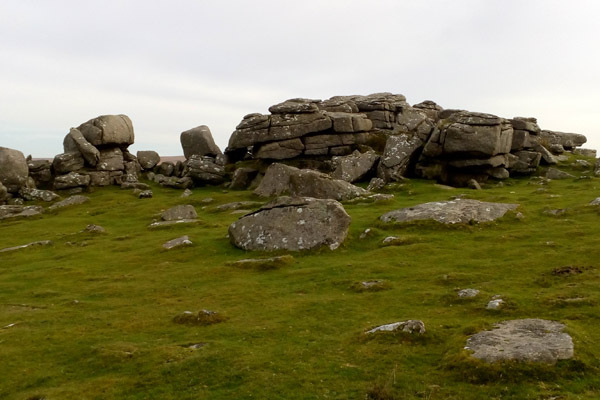 The Granite here is a pinkish/orange, common to this area of Dartmoor and the obvious reason why these stones were quarried. 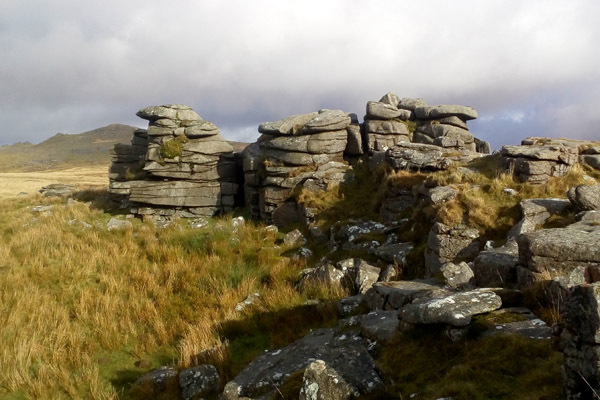 Easily reachable from Cadover Bridge this tor, and its ‘Little’ cousin are highly rewarding for such a short walk. Green Tor – Grid ref: SX 562864 Height: 540m a.s.l. 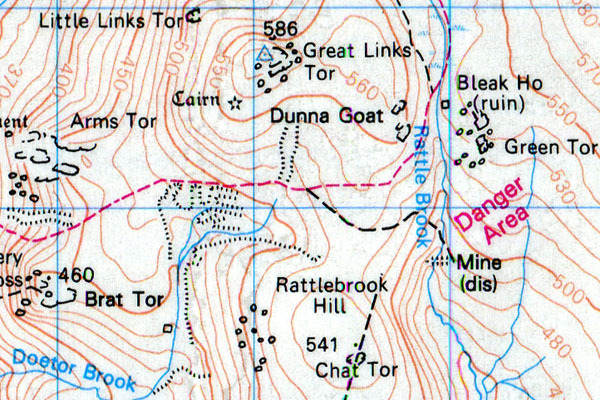 Green Tor is located near the 546 metre spot height. 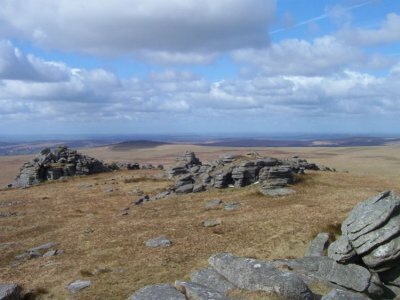 Its gradient is rather flat, high on the Great Links Tor plateau. Gren Tor – Grid ref: SX 551879 – Height 510m a.s.l. 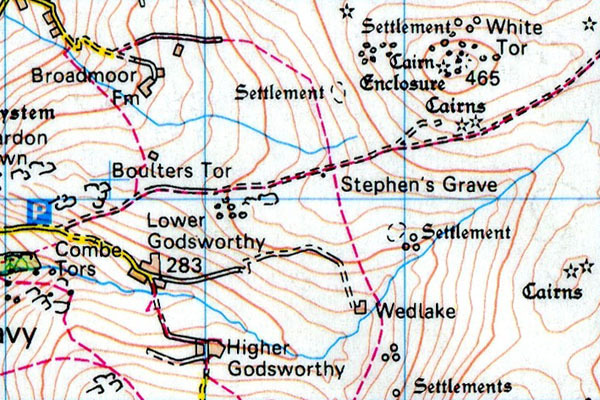 Gren Tor isw not a summit. 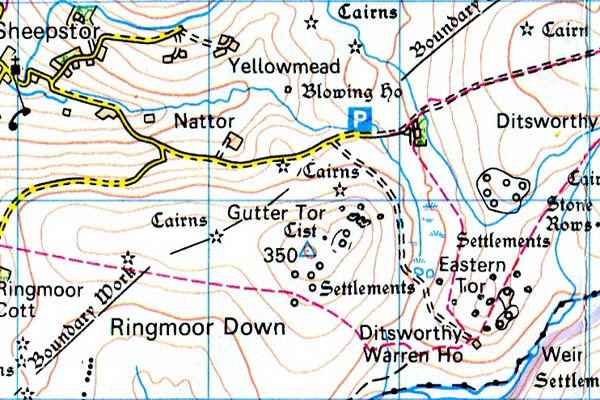 Gutter Tor – Grid ref: SX 578668 – Height 340m a.s.l. 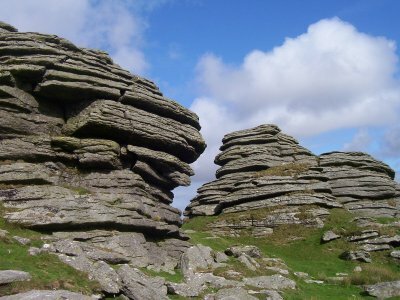 Gutter Tor is located just off the main spot height, near the Trigonometric survey pillar. There is good and ample parking most times, at the area locally known as ‘Scout Hut’. It provides a good starting point in which to start your walk into the Plym valley. 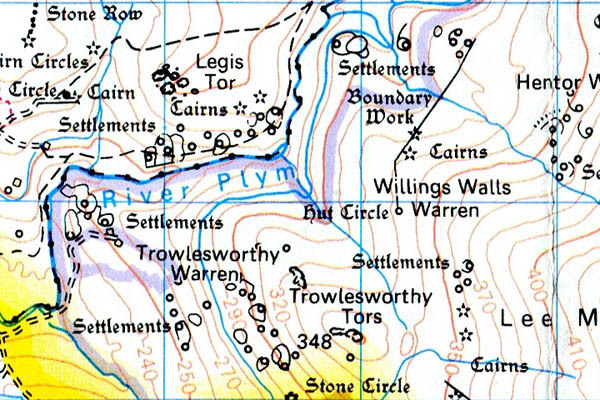 The whole area is full of historic features in the form of dried-up leats, tin-workings, stone rows, cists, cairns & Bronze age settlements and purplose built pillow-mounds (rabbit warrens).